It’s Cultural Diversity Day today! 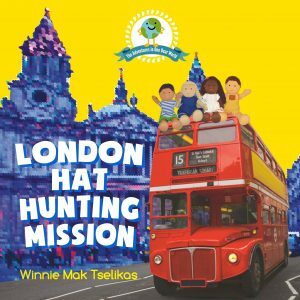 I’m doing my bit for both youth culture and diverse London by asking my daughter Emmeline, aka ‘Wee Girl (2)’, what she thinks of London Hat Hunting Mission by Winnie Mak Tselikis. Enjoy! I am well known for my commentary on diverse characters via my main site Bang2write, so when the opportunity came up to support this tour I of course jumped at it and hoped we would like the book. I needn’t have worried. 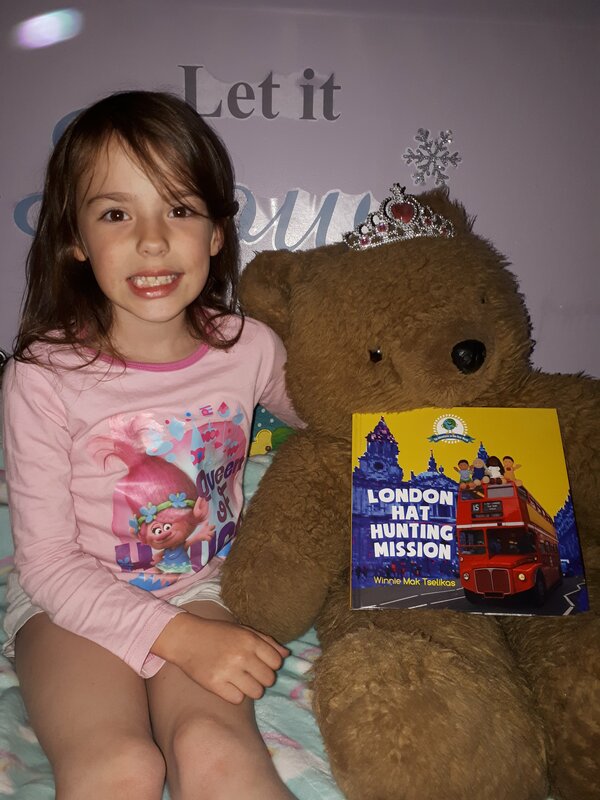 Emmeline LOVED the book and so did I. London Hat Hunting Mission is neither preachy or ‘try hard’ in its message. It takes its young audience into account by introducing the notion of diversity via both hats and the geography of London. The puppets are also real dolls, so the photos of them encouraged Emmeline to think of them as being real, which is an added bonus. The colours are bright and bold and take in many iconic landmarks along the way. It celebrates the diverse nature of London, as well as its various institutions like marriage, politics and royalty (so if you are against any of these, you may not appreciate those elements). That said, children recognise these things instantly and it may create talking points for you. What I was most impressed by was the fact the four friends are clearly from white, black, asian and Chinese backgrounds. Whilst the first three are often covered by children’s literature, the latter is most often not. I assume this is because the author herself is from Hong Kong – she would no doubt have noticed this growing up. We are from a mixed race family which includes Chinese people and Emmeline was instantly able to place Jun as looking like her cousins. 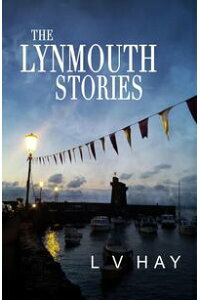 Since Emmeline is now at an age to think of the differences between herself and her cousins, contrasting Lea and Jun from the book was brilliant as a starting point for us. Unlike many books we’ve read in this series, Emmeline had no trouble with the language here. It’s pitched well, which encourages slightly older readers like Emz to sound out more difficult words she may not have not have seen/read before like ‘diversity’. 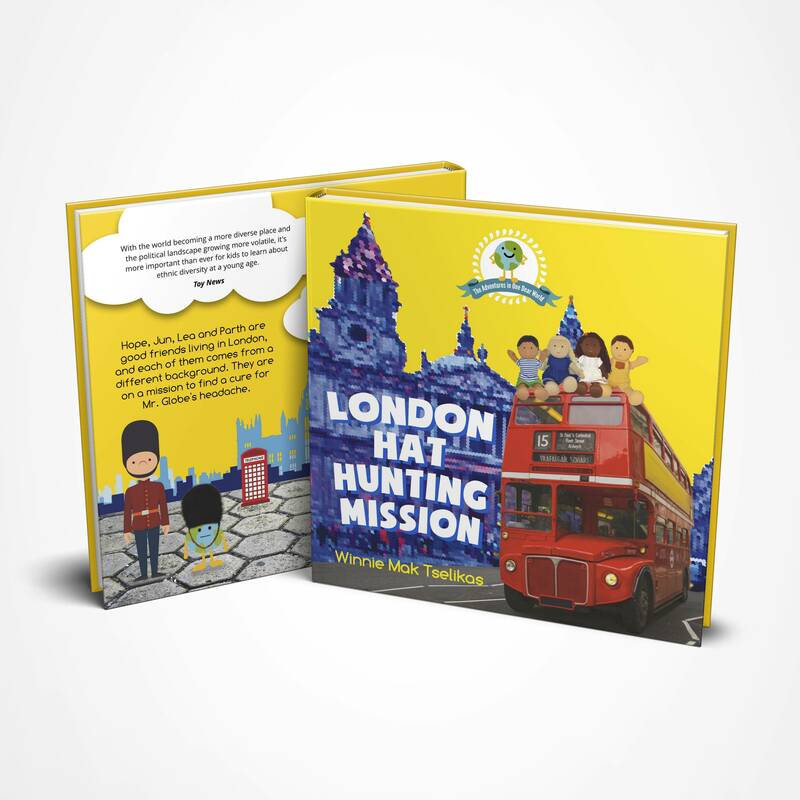 London Hat Hunting Mission is a beautiful book with a gorgeous message. This is easily one of our favourites in the Wee Girl Reviews series and recommend it most highly. BUY IT!!! BIO: Winnie Mak Tselikas is a believer in diversity. 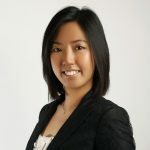 Born and raised in Hong Kong, she studied engineering, worked in commercial sales and in 2011 switched to education upon moving to London. There, she met her half-French, half-Greek husband and they had a son, who now has family in China, France, Greece, HK, the UK and the US. Winnie considers her son to be a world citizen rather than of a particular nationality or culture. Inspired by her family and London’s diversity, she founded One Dear World and created the lovely adventures of Mr. Globe and the little Londoner dolls. Follow @onedearworld on Twitter and on instagram.